The degree of miniaturization is constantly increasing. 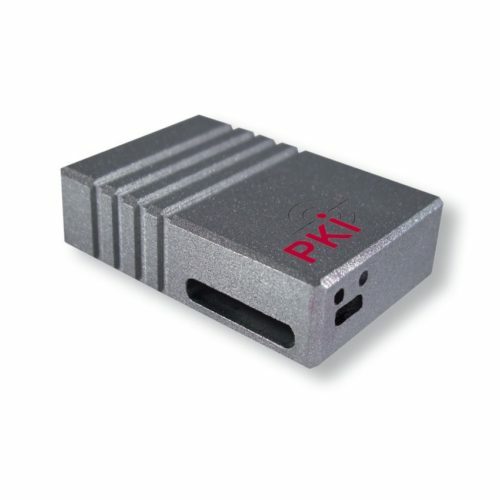 With our PKI 2380 Micro Audio Recorder, we have achieved almost unbelievable miniature dimensions for an audio recorder. With no more than 38 mm in length, 13 mm in width and 5 mm in thickness, this design corresponds to just the half of that of a disposable lighter. We integrated a complete digital recorder weighing 4 grams with an amazing recording time of 37 hours into this small unit. Voice quality can be selected via the PC. In voice activated mode, the device only records when there is noise. Breaks are compressed and disk space is saved. The standby period is 3 months. A built-in timer function (adjustable via the PC) allows to determine specified recording periods. The built-in microphone has an acoustic range of up to 9 m. A button for the most important functions (Record / Play) is used to operate this tiny device. All further functions, such as compression, timer functions, bit rate, password protection and recording backup, are realized via the PC (USB connection).